We have heard a lot about your activity with this community called Biodiversity Warriors (BW). Can you share a little bit more about the story behind this community? What is the main reason which encourages you to take part in the community? Biodiversity Warriors (BW) is a youth movement that works as an agent of change to protect the biodiversity that we have in the country. This community is determined to raise public awareness of what we have in our nature including the importance of protection. We are very active offline and online to spread, share, and also to receive information about biodiversity issues. As part of Kehati Foundation initiative, all the information will be disseminated to policy makers, environmental organizations, and research institutions. Through the right channels, we believe that the information that we gather can influence policy makers and lead to change. The members of the community are also taught to become ‘citizen scientists’ so that the information that they get can be processed into something with scientific value. 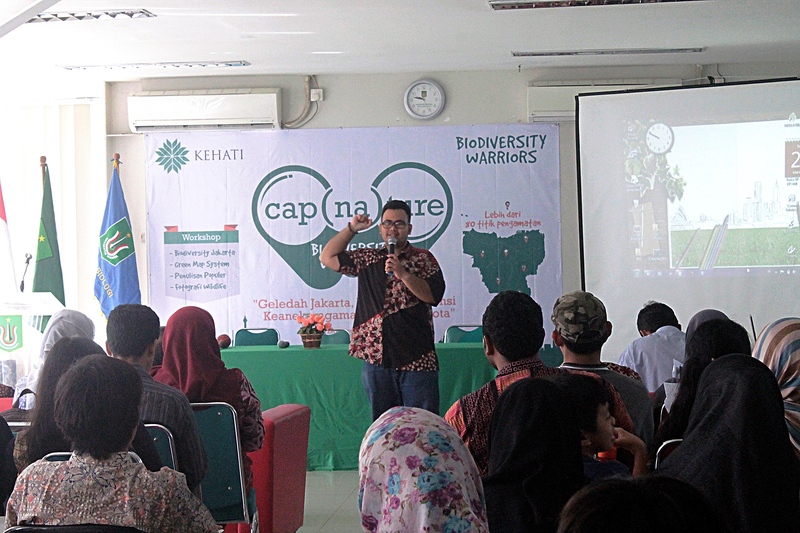 I can say that our goal is to make Indonesian biodiversity popular in the wider community. To achieve this, we want to focus on bringing together the younger generation to be more involved in this issue by making this unpopular topic become more interesting. We want to generate knowledge on our biodiversity and to make it easier for public to access and digest the information. We are determined to build networks that focus on this biodiversity topic. I believe that the role of the youth is very significant and important for the sustainability of our living space. Through the Biodiversity Warrior movement, the Kehati Foundation invites all of agent of change to make our natural environment better. How do you invite people to join the Biodiversity Warrior community? We attract people to our community from our activities. As such, BW has several activities such as Capture Nature, Small Grant Program (SGP), Biodiversity Warriors Go to School (BWGTS), and Journey. Journey, for example, is a trip taken by BW to understand the potentials and usefulness of biodiversity and local wisdom in a specific location. To be able to join the Journey trip, BW members are encouraged to write a catalogue about biodiversity and post it to our website, www.biodiversitywarriors.org. We have this point mechanism for our members. Whoever reaches 1,000 points, receives the reward of joining a Journey trip from the Kehati Foundation. This is one of our strategies to attract people, and have them be involved in our activities, especially those who are still under 30 years old. I can see that the community consists of many young people and it is not easy to engage the youth into this ecosystem conservation activity. What are the challenges that you find during the process? Yes, it is indeed challenging. At this moment, BW members are dominated by college students majoring in biology and forestry. It is great to have them in the community because the topic is very related to their studies and interests. However, we are determined to have more mixed composition in the BW community. We want more people to be aware to this biodiversity and conservation issue because all of us have to be responsible to our environment. What we are doing now is to leverage our community to those who are coming from diverse backgrounds such as information and technology (IT), broadcasting, and communication. We are expecting that representatives from those backgrounds can support us to make this biodiversity topic more widespread. How do you do it? What is the most effective way to bring people to be actively involved in particular initiative? The most effective way is to publish our activity through website and social media such as Facebook, Twitter, and Instagram. We are utilizing all popular platforms to promote our activity because it’s free, easily accessible, and organic. People can re-share what we post in our social media as well. As in offline activity, we visit schools and campuses to introduce BW and our main activities. If someone is interested to participate in this Biodiversity Warrior activity, let’s say I’m joining the community, what will I do with the community as a beginner or new member in the group? I would say to join our regular activities first to get more familiar. What we usually do each month is to do biodiversity data collection in urban green open spaces. We call it Capture Nature Jakarta. This activity is often done together with other environmental communities. We want to make people realize that this biodiversity topic is not only about the forest, jungle, or the ocean, but also what exists in our urban environment. I also read some publications about the community where you and the other members try to raise public awareness towards biodiversity in urban area. How do you do it? Yes, for example during the data collection activity. We invite people that happen to be in the green open space or park to join us to observe the environment. Usually, we observe things such as plants, mushrooms, dragonflies, butterflies, amphibious animals, reptiles, birds, and any mammals that live in the place that we observe. Then we also hold a photography exhibition to disseminate knowledge and information on biodiversity conservation through visual materials so that people have more awareness towards this issue and build their willingness to protect our nature better. Talking about green open space, there’s a publication which tells a story about your collaboration with Peta Hijau Jakarta community to update the green map in Jakarta. Can you share a bit more about it? Initially, the Green Map of Jakarta was composed by Peta Hijau Jakarta (PHJ) community in 2010. In purpose to update the map, Kehati Foundation through Biodiversity Warrior community with PHJ, Faculty of Biology – National University (Unas), Jakarta Birdwatcher Society (JBS), Biological Science for Community (BScC) Indonesia, and Indonesia Wildlife Photography, held the Capture Nature Jakarta. During the initial workshop before going to the field, participants received capacity building to enable them to identify types of biodiversity in urban areas. They also trained for basic writing and picture taking skills to participate in the making of Jakarta Green Map. It’s very interesting! Okay, about wider public. How do they respond to your activity? Have you ever heard any comment or feedback from the society? So far, people give positive responses to our activities. I can tell that a lot of schools and campus, even companies, put trust to the BW community to perform our activities in their environment. For example, we have assisted groups for biodiversity observation and monitoring. Beyond observation, we also have created posters and publication materials based on the observation activity so that they can use it to raise awareness of protecting nature environment in their area. How about the members of Biodiversity Warriors themselves? How do they see their own community? They are happy to be part of the movement. Through continuous assistance from the Kehati Foundation, we build the capacity of BW members. In terms of quantity, up until now we have 1,677 members of Biodiversity Warriors. What is your biggest concern on people’s awareness towards ecosystem conservation, especially in our society living in this fast moving urbanization? Some people out there are still active in wildlife hunting and see it as an acceptable practice. They hunt some wildlife animals to take them as pets, illegally sell them, and for hobby. This is obviously a harmful practice and endangers the existence of some species. We need to educate more people about the importance of diverse animals and vegetation in our environment, also the risk and consequences if we lose the balance of our ecosystem. More people need to know better about the usefulness and the role of particular species of the biodiversity that our ecosystem has. Not only stop until they care about biodiversity, but also to be the actor of conservation activity. Do you have any message that you want to express to people that are doing similar initiatives to you, also maybe for wider public so that they have better awareness to their environment? For those who also have the same initiatives and concern like me and the other members in Biodiversity Warriors, please do not stop. It takes energy and time, sometimes it can be very challenging, sometimes you might be bored with everything, but do not ever stop to engage people to work together in protecting our nature. For everyone, I hope that you want to learn more about your surroundings, especially your natural environment. All of us want to have sustainable place to live not only now but also for the future. Biodiversity that exists in our environment right now is not our heritage, but we are entrusted to protect them for our future generation. Ahmad Baihaqi works as Education and Outreach Officer at KEHATI Foundation. 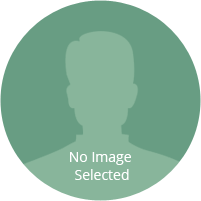 Currently, he is also a Masters candidate of biology program at National University in Jakarta. Up until now, he has written five books around biodiversity topic and at the moment he is finishing his sixth book about biodiversity program in green hospital. Being very active in many conservation activities, he received an award from Ministry of Environment and Forestry in 2016 as Natural Conservation Cadre in Jakarta Province. He was also previously nominated for prestigious Kalpataru (Tree of Life) Award for Jakarta Province, also in 2016.